Whether you prefer playing live-action games in the field or making things in the studio, Adventures in Cardboard hosts workshops that demand the use of legs and feet as much as hands and head, where artist-instructors seek to unleash a zeal for creative role-playing, and where wonder is the preferred path to igniting a passion for design, construction and playful exploration of the world. Please consider the level of combat play in each activity. 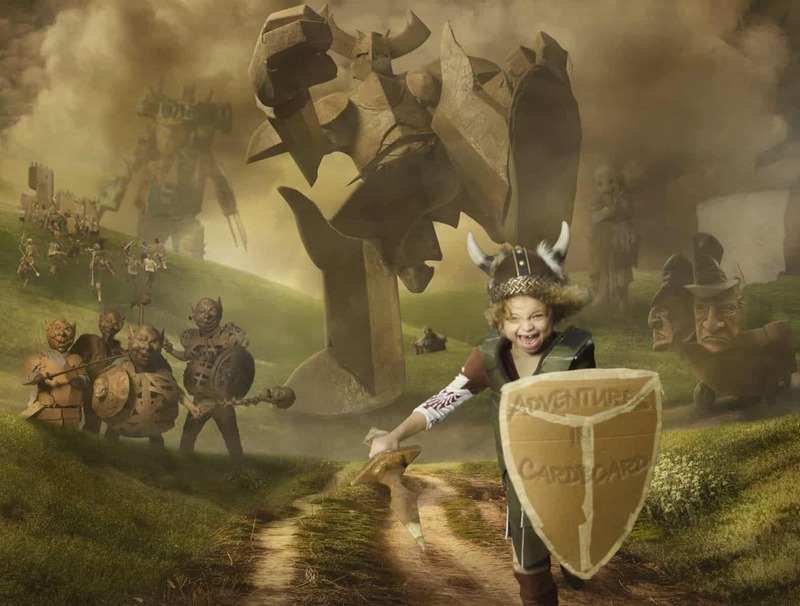 The expectations for combat play set up in summer adventures can be very different from the expectations set up in each different experience. Make sure you're signing up for the right activity! Red indicates a HIGH level of combat play, the workshops are centered around this type of play. Orange indicates a MODERATE level of combat play with a little time set aside for it each day. Yellow indicates a LOW level of combat play, it might happen but should not be expected daily. Green indicates NOCOMBAT PLAY. Participants should not expect or ask for any combat play. In our second installation, you play as one of several star-faring civilizations rebelling against intergalactic despotism. New sci-fi rules, melee weapons and nerf guns are included in a multi-episodic adventure sequence at West Bush Lake Park. The Alpha Centauri system had long been a hotbed of resistance against imperial designs. The resistance however had been far from unified. Several unaffiliated revolutionary organizations spanning mutliple worlds in this triple star system had been deadlocked in conflict for years before agents of Empire managed to provoke outright hostilities between them; a plan in which the Empire could insert itself to eradicate rebel leaders while pretending to be a peacemaker in the system. In the midst of a triple dogfight between Coruscantians, Kra’ali and Plorosite forces in close orbit of Centauri B, an Imperial Dreadnaught forced emergency landings by all three frigate-class rebel ships on the world of X’Xit (aka Alpha Centauri Bb.) Prepared to finish the extermination of rebel leaders, Vice Admiral Vanir of the Imperial Fleet, in secret, dispatched an Imperial Pacification Unit to the world to ensure there would be no survivors. In our last episode only the surviving Plorosite forces had managed to escape annihilation with the help of their new Kra'ali allies, allies who were left with the Coruscantians stranded on X'Xit and at the mercy of Empire Pacifications squads. The escape of Plorosite forces exposed The Empire's evil plot and succeeded in uniting multipolar rebel forces in the Alpha Centauri system. However, the Empire simply doubled-down in X'Xit installing a weapon of power on the world that was capable of wiping out distant cities on multiple worlds in the system. 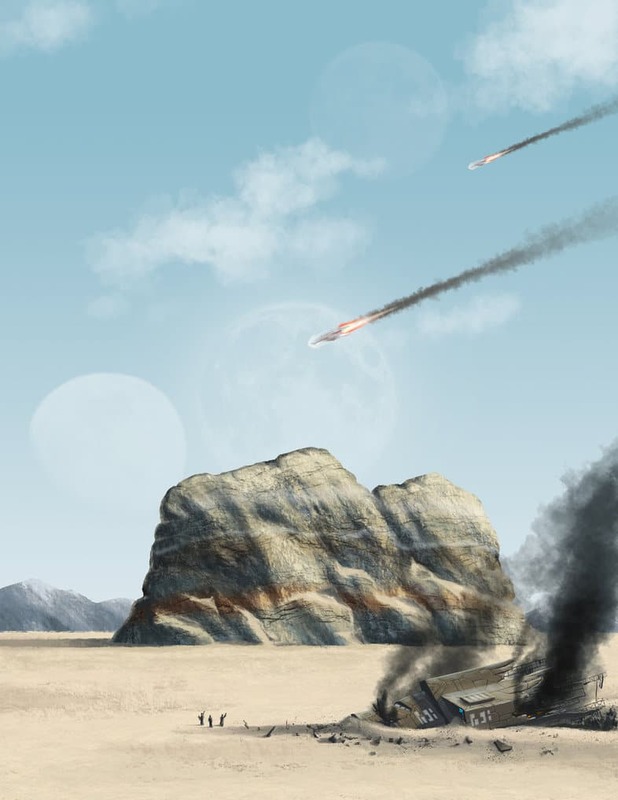 Now the Plorosite have returned in force to see what Kra'ali or Couscantiabn allies might be left alive with the objective of locating, infiltrating and disabling the new super weapon or alternately destroying the entire Empire presence on X'Xit! Play as Empire Pacification forces, as Plorosite rebels or Kra'ali/Coruscantian maroons who will decide the fate of the entire star system. Please stay tuned! Two more game days and several crafting workshops are coming for our Fall 2019 Season. Options will be posted here on August 1st!! Summer Camp Registration begins Saturday, January 12th at 8am. Please consider the level of combat play in each activity. The expectations for combat play set up in summer adventures can be very different from the expectations set up in each different workshop. Make sure you're signing up for the right class! Our Fall Game Day at French Regional Park is based around the formation of the Federated Ogrekin of the Sh'ne Sahn. Come play as one variety of these related tusked brutes BEFORE the "Great Peace of Uneating" was established. 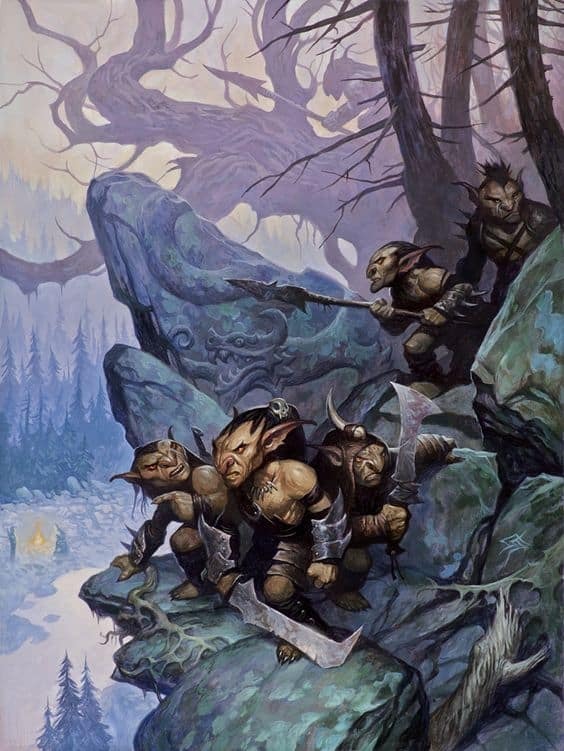 Long before the council of Nh'gatha Shrûk and the formation of the Federated Clans of the Sh'ne Sahn, the various surviving bands of Ogrekin roamed the foothills of great Mount Emet and ate whatever they could find, including each other. 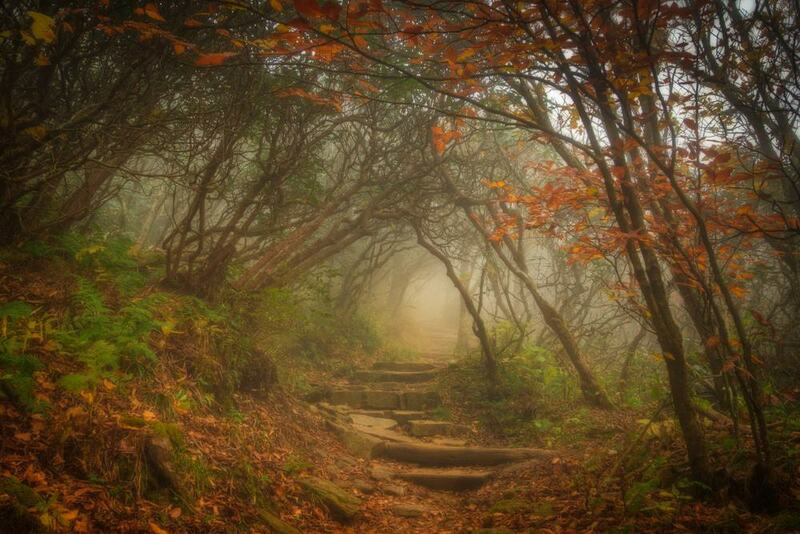 This was after the strife of The Ugly War, Realm Year 4752, where all the tusked and tufted robusts of the Unseelie Court were driven from the mountain by the smooth and gracile Seelie Court of Elves and their early Dwarven allies. Choose to play Brucuck (Ogres), Arukusi (Orcs) or Blatu (Goblins). We will follow a classic Dominion game plan with new rules for oversized weapons, shamanic powers, mixing medieval melee and nerf gear and cannibalizing enemies for increased power. Brucuck play with oversized weapons and brute strength. Arukusi play with fantastic shamanic powers and supreme organization. Blatu with a chaotic array of technology including nerf gear. All are fond of any meat they come across. Play one of several star-faring civilizations of the distant future rebelling against intergalactic despotism. 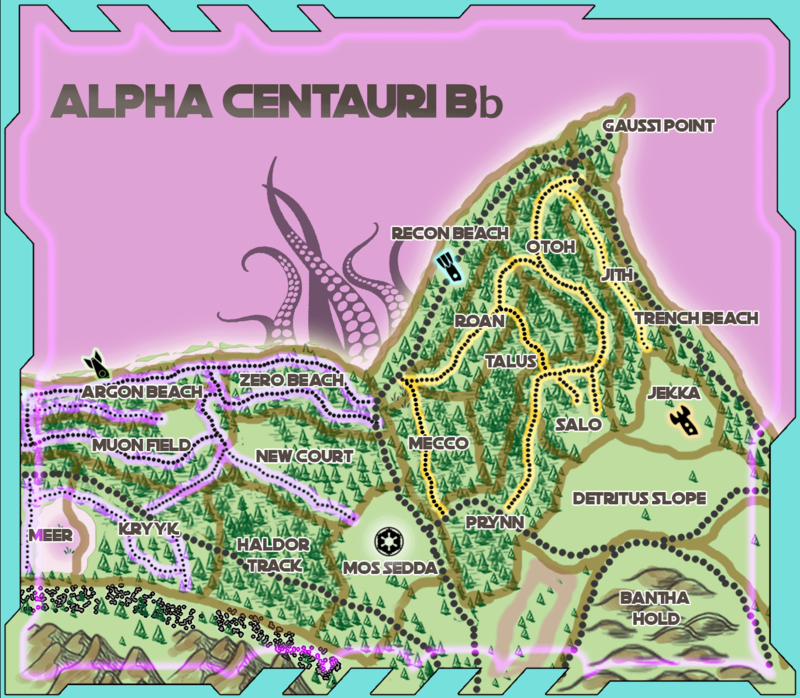 Three of your squads have emergency-landed on the world of Alpha Centauri Bb and now struggle to survive the hostile flora, fauna and geology of an alien world. If the situation were not bad enough, The Empire has tracked the location of these fallen rebels and dispatched a Pacification Unit to the Centauri system. Play as The Empire, the team with all the advantages, and crush the dregs of rebellion! Or take on a challenge and play one of the three surviving rebel teams as they struggle against a hostile environment, fight off the mercenaries of Empire and attempt to escape Alpha Centauri Bb! New sci-fi rules and captures are included in a multi-episodic adventure sequence. No sessions over MEA or Thanksgiving break. Build your own suit of fully functioning boss armor, with heavy boots, oversized body pieces, crushing fists and several customizable options. After seven weeks you will strut out of Adventure Studio as a two-ton behemoth ready to take on an entire house of foes! Each week you will work on a different part of your oversized armor based on the templates of The Colossus. Julian and two fantastic building staff from AiC will be there to assist you in your process and organization, though you should be prepared to do all the cutting, taping, stapling and papiér-mache yourself. There will be little time for actual combat except on the last day when all of us as a 19-unit-strong boss army will take on a specially prepared team of nearly invincible counselors!